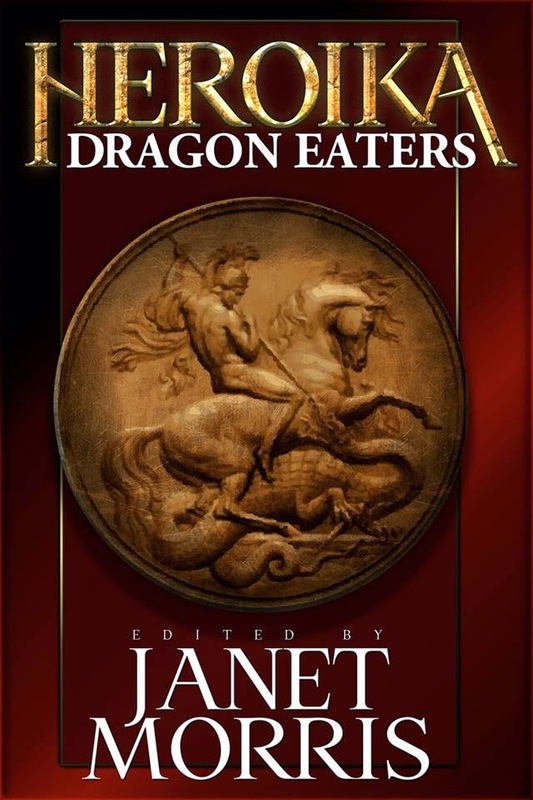 Heroic Fantasy Writers: "Heroika: Dragon Eaters" Now available for Pre-order! "Heroika: Dragon Eaters" Now available for Pre-order! This is the beautiful cover for the latest short story compilation edited by Janet Morris. The theme is dragons which, let's face it, is awesome. This volume includes the work of some tremendous authors (yes, I'm included...should I spend four or five pages discussing how great I am? Just read this). The book will be released on May 25th, but you can pre-order your Kindle copy now by clicking here. Please grab it right away, you won't be sorry! This is a great way to support authors you already love, and get to know some new writers you'll be excited to get to know better! Thanks for the support! Now go get some dragons!